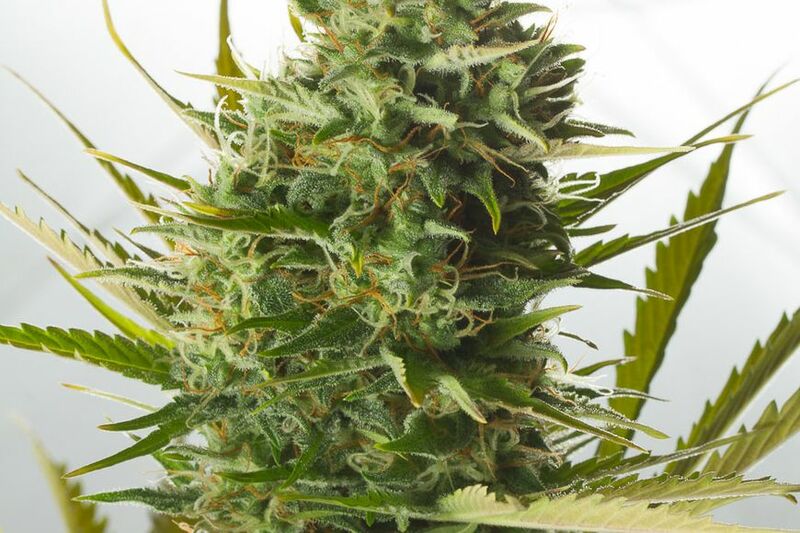 A hybrid that brings together the speed of autoflowering genetics and all the virtues of Cheese, she not only delivers top-quality crops but she will also impress Skunk-lovers with a surprising monster-yield! 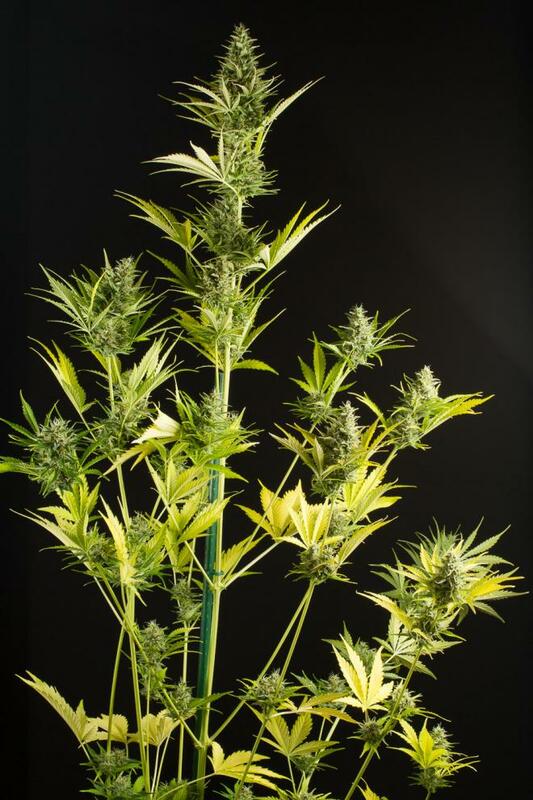 Cheese XXL Autoflowering cannabis seeds turn into big-sized plants that could grow up to 1.60 meters. Vigorous hybrids that grow incredibly fast and develop quite a lot of branches, similar to her feminised relative Cheese. This high-end autoflowering strain produces a large terminal cola and many secondary buds, all amazingly dense and compact. Given her amazing yielding capacity, this stinky champion may need the use of stakes at the end of the flowering in order to hold her branches full of heavy and resinous buds. Best results are obtained when adding 30 % of coco coir to the substrate and when watering frequently but sparsely. The aroma this strain emanates is reminiscent of UK Cheese; a scent inherited from the Exodus Cheese elite clone. She showcases very intense and special aromas and flavours, with hints of fresh flowers, Skunk and spicy spices. The effect of Cheese XXL Autoflowering is famous for its balance, starting with an invigorating sensation that gently moves towards a rather long-lasting feeling of relaxation. She’s the best bet for making interesting conversations with your friends. This strain has been of great help to amateur growers all over the world. Why? Because, thanks to her short life cycle and easy-to-grow properties, she’s the perfect choice for those who are taking their first steps in this world and want to make sure their pantries end up full of top-quality products. From such a stable strain only homogeneous plants could come about; plants that are, in this case, not particularly resistant to fungi and don’t have to be overfed. That's why, when using fertilisers, you'd better stick to the manufacturer's recommendations. Like all Cheese genetics, this hybrid gives off a pungent cheesy aroma that needs monitoring. So setting up anti-odour systems when growing indoors is always a wise decision. If you decide to cultivate outdoors, remember she isn't particularly discreet and maybe balconies or gardens are not the most suitable places. Her size and piercing aroma will make your neighbors become rather suspicious. 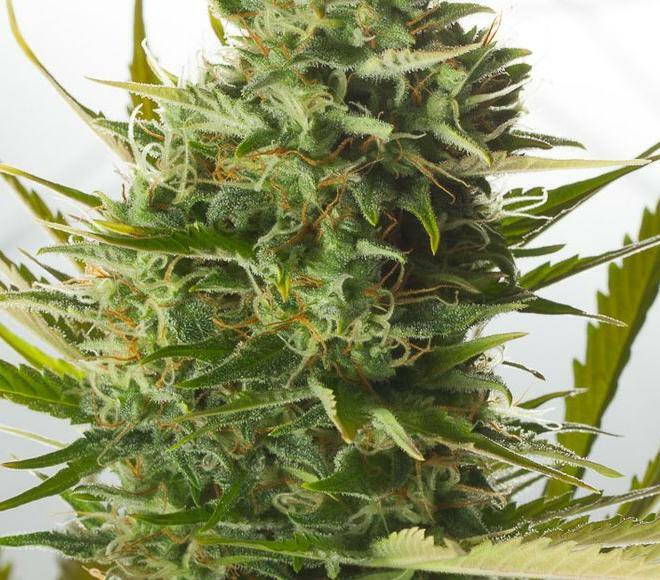 She’s perfect for guerilla growing and for cultivating in remote areas. Every two months we’ll raffle off this super awesome Dinafem pack among all of you who leave a comment. Give us your feedback now! Did you find this review useful? Didn't you find this review useful? An excellent strain that always guarantees resinous big buds full of goodness. She always produces larg yields with that great distintive cheese smell and taste that will hit your taste buds every time. Definitely one on your regular auto grow list. Very nice autoflower. First time ive experienced a auto strain that resembles a photoperiod strain in vigor. The smell is unbelievable cheesy, you're gonna need a good filter for this! Love it and will definitely buy again, Dinafem is the best address for you seeds! Awesome strain, full of taste and aroma. generous with yelds and easy to grow. Absolutely my fav! I can recommend it to everyone. Even, if you never tried this strain is worth it to put to the soil, enjoy in grow and after harvest have a fun! I live in the Mediterranean coast of Spain and I bought 3 Cheese XXL from Autodinafem. Easy to grow, produces a lot of branches and big compact tasteful cheese buds. I will definitely recommend this variety. This strain is an awesome one for sure. Grows nice and large and with no difficulty despite me being a newbie grower. I highly recommend it. Best Cannabis i have ever smoked. This is a great smoke to be had with friends. It doesn't come out the prettiest, but is very potent and the effects are some of the best i have ever had! 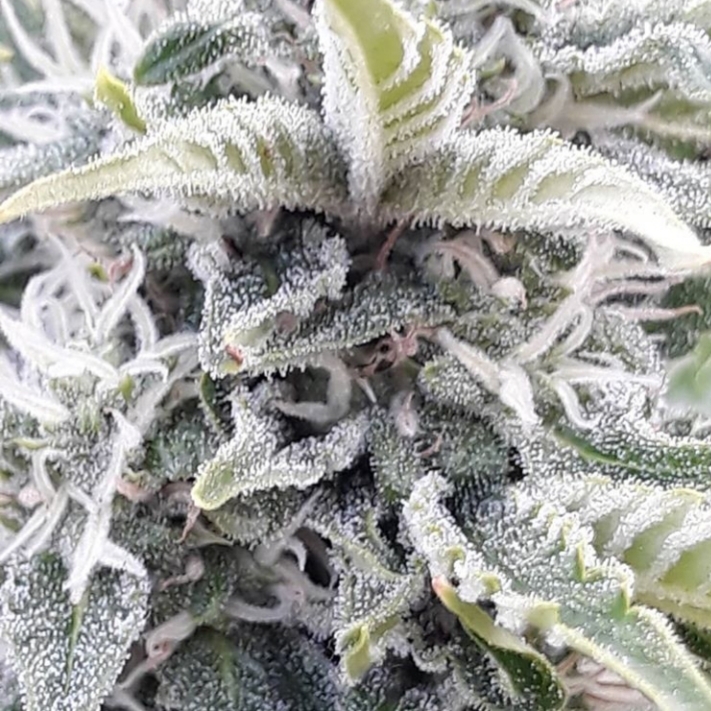 Great strain,large with resin all over the plant.Easy to grow,last two weeks using AN Bud Factor X for more resin.In a week will be harvested.It will be more then 100 grams. this was an easy grow, very little maintenence and highlynrecommended for the novice beginner, the bud is 6 inches long and smells divine, super sticky , a very good buy defently getting again, high smell odour, very nice but not good for prying eyes, or should i say noses !!! I received the cheese XXL as a free seedwhen placing an order from attitude. I have never grown auto-flowering plants before now. I run a dwc with a 150 watt hps. I use general hydro nutes. Maxi grow maxi bloom. I also use super thrive and rhizo blast as a support for roots and vigor. The vigor is top notch. Branches are shooting out of the branches. Space between nodes are 1/2 inch to3/4 inch. Running 400 to 500 ppm. I can see heat stress because I don't run a/c and live in sub tropical climate. She is 18 days old of the indica pheno. Stinky already. It is handling the heat nicely like a F1. Explosive! Simple and hearty, easy to care for. Great buzz. What do you think about Cheese XXL Autoflowering? At Dinafem Seeds, we work very hard to create seeds of the best quality. Don't be shy and share your experience! Your opinion is very important to us. Sign in and forget about having to enter your personal details over and over.